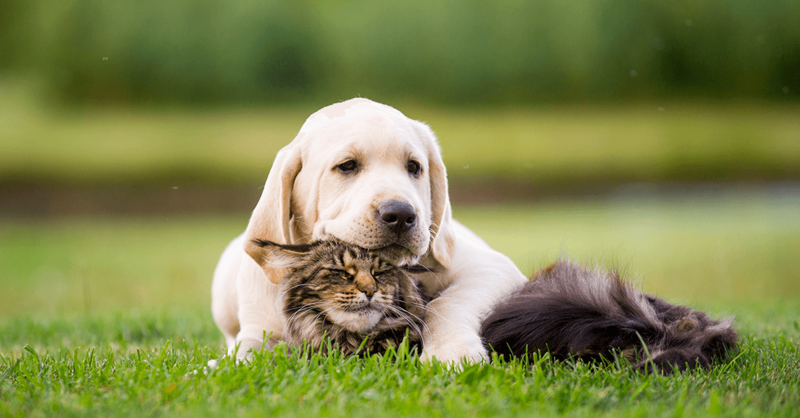 Chemical flea collars, sprays, topical products and dips can be effective, but the toxic compounds used in these products can linger in your dog’s or cat’s body and can potentially cause respiratory problems, nausea and other side effects, including convulsions. Treat the house before you treat your pet. Fleas don’t spend all their time on your pet. They also are present in the yard, in damp corners, on carpets or under couch cushions. It doesn’t help to treat your pet unless you treat the environment as well. If your home has fleas, steam-clean carpets and upholstery. Then, every day, vacuum and/or mop the areas where your pet spends time. This will eliminate most fleas and their eggs. Also, wash your pet’s bedding and clothing in hot water daily. Dust with diatomaceous earth. This chalklike form of fossilized algaelike plants kills fleas by penetrating their waxy coating. It is available at pet and garden stores and on the Internet. Follow the directions on the label. Sprinkle it outside on areas where your pet spends time, such as a favorite spot in the garden. In the house, you can sprinkle it in corners or on carpets and area rugs (and later vacuum it up). Treat the yard with nematodes. If your pet spends time outside, you’ll need to treat the entire yard with nematodes in addition to a sprinkling of diatomaceous earth. Nematodes are microscopic worms that feed on fleas in their preadult and larval stages. They’re applied with a lawn sprayer and available at most garden stores. Follow the directions on the label. Give your pet a citrus bath. Shampoos and sprays that contain the citrus oils D-limonene and linalool kill adult fleas as well as their eggs. They’re available at pet-supply stores and on the Internet. Important: Products that are safe for dogs can be dangerous or even fatal to cats. If you have a cat, read labels carefully to make sure that the product is cat-safe. You can make your own citrus rinse by putting lemon slices in hot water and letting them steep overnight. Remove the lemon slices from the water, then sponge the liquid on your dog’s or cat’s skin. It will give your pet a pleasant citrus scent that will help repel fleas. Avoid pyrethrin. This type of natural pesticide is derived from chrysanthemums. Veterinarians used to recommend it because it is safer than synthetic pesticides. It is safer but not as safe as natural oils.